Extravagant, rare and revered by culinary aficionados throughout the world, truffles are a pungent fungus that grows around the roots of hazelnut and other types of trees. 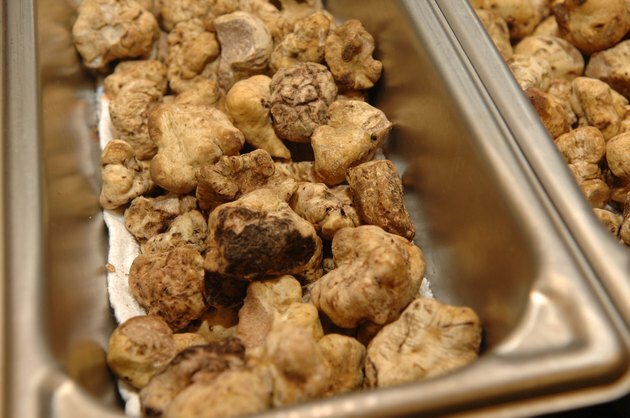 Truffle varieties include white truffles and black truffles. To grow white truffles, you must purchase inoculated trees from a truffle farmer or a garden supplier that deals in fungi. White truffles are challenging to start, but when they become successfully established, you will reap the rewards of this delicacy for years to come. The primary climates where truffles can grow in the United States are the temperate regions of Washington, Oregon and Northern California. Choose a plot. Inoculated trees need be planted at least 4 feet from other plants and at least 20 feet from other trees. If you are planting several trees, plant rows spaced 12 feet apart with trees spaced 5 to 7 feet apart. Test the soil. Test kits are available from garden suppliers. Truffles need an alkaline soil with a pH between 7.5 and 7.9. Till the soil deeply. Use a rake for small plots and a rototiller for large plots. Add a 3-inch layer of compost. If your test results were below the requisite pH, add 8 oz. of hydrated lime per yard for each number the pH needs to be raised. Till the soil again to mix in the compost and lime. Plant sapling trees in early spring, while they are still dormant. Dig holes large enough to accommodate the roots, using a shovel. Remove the trees from their pots and insert them into the holes. Backfill the remaining space with soil and water thoroughly. Water your trees regularly to keep the soil moist. Do not add any fertilizer, compost or other soil additives for at least one year. 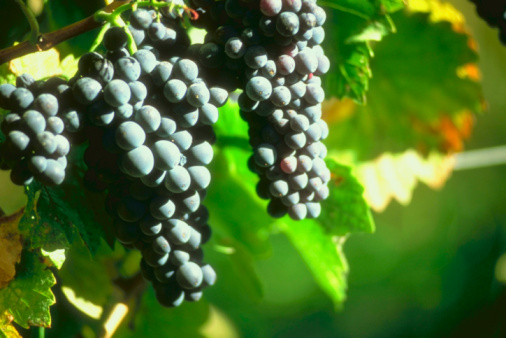 Truffles will not begin growing for at least five years, perhaps longer. You may see bulges in the ground when truffles begin to grow. Pigs and trained dogs can also find truffles. Harvest truffles by carefully digging around them with a rigid stick.